We've had an abundance of owls around this winter. 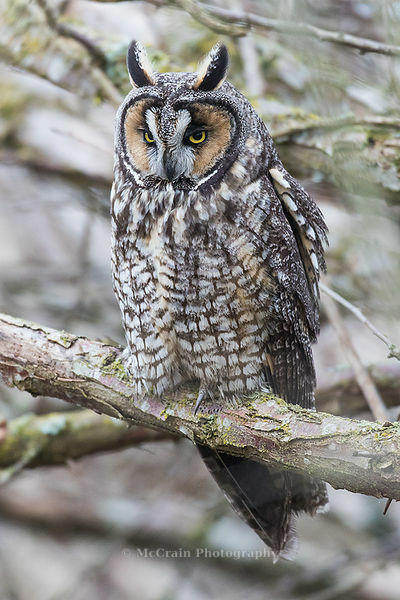 Northern Pygmy Owls out by Carnation, a pair of Long-eared Owls in the Stanwood area, and even a Great Grey Owl just across the border in British Columbia. These secretive creatures generate a lot of attention, sometimes not all in their best interest. 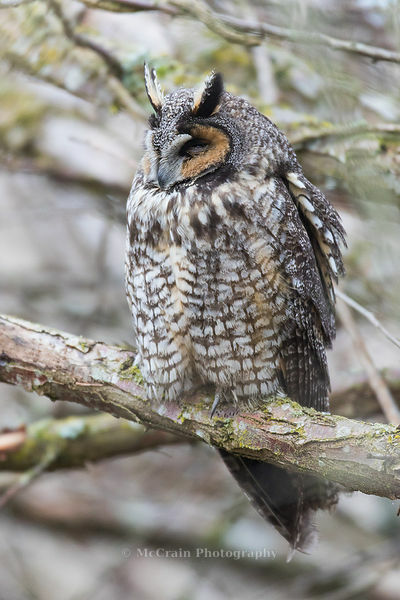 The Long-eared Owls by Stanwood drew hundreds of people, not all who chose to respect the owls space, creating quite a stir in the birding community. Some people went so far as to cut away branches that were in the way of them getting a picture of the sleeping owls! It is a challenge as a photographer to not contribute to the disruption and respect the needs of the birds while still wanting to get photographs to share. Often it means walking away, speaking up, or just avoiding the area altogether. When I do find a situation that is workable it is always on my mind as to whether or not I'm stressing the bird. "Roosting owls want to stay as still as possible. This is a defense mechanism so that they remain as undisturbed as possible. 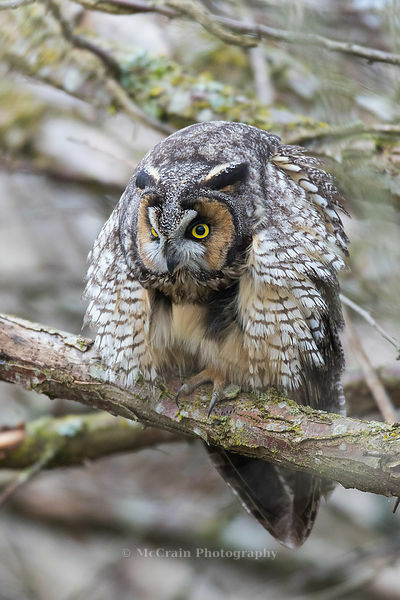 There are telltale signs that a roosting owl has been disturbed including a forward crouching defensive stance, wide open eyes that follow the observer, and changing positions on its perch. The very last thing that an observer should do is get too close which causes an owl to flush. Often, a day flying owl can attract the attention of larger daytime predators to the detriment of the owl." On the one occasion where I did get an unobstructed view of one of the Long-eared Owls it was near the end of the day when it was starting to become active. I got to watch it nap, wake up and scratch and then go back to sleep for a bit. I was fortunate that at one point it did turn and look my way for a moment but for the most part I just got to watch it rest. The whole time it remained perched in one place with one foot drawn up in a resting pose. 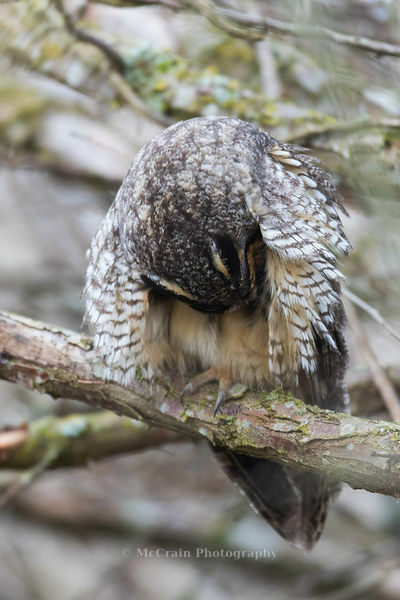 The owl paused in its grooming and looked up for a few seconds before resuming its napping. This is the one shot I got when the owl scanned around and looked towards me. Sounds like you did just the right thing. It's a bummer we get lumped in with those who don't. It is always a fine line isn't it Mick. All we can do is try to be an example of responsible photographers.